The United States’ (US) ban on catfish species from Guyana is a “big blow” to the local fishing industry and is being deemed a protectionist barrier to allow the American fishing industry to flourish after having invested huge sums of money, a senior government official said. 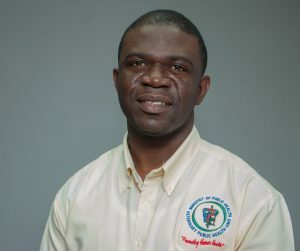 Veterinary Public Health Director, Dr Ozaye Dodson was quoted as saying by government’s Department of Public Information that the move by the US Department of Agriculture (USDA) is a “protectionist measure” by that country’s public health system and the catfish farmers who have invested heavily to develop the industry there. Dodson said government would be taking steps to improve its systems and so convince the US to reverse the ban. He explained that the US Food Safety Inspection Services (FSIS) asked Guyana to provide the relevant documentation to verify this country’s inspection system equivalence to the US standards or its equivalent degree of public health system to that of the US. Guyana, Dodson said, complied with the request. However, the country fell short of the US standards in three areas: firstly, on the issue of the presence of inspectors; secondly, there was insufficient documentation detailing verification of each step in the sanitation and HACCP (Hazard Analysis and Critical Control Point ) process and thirdly, there was insufficient documentation specifying how the industry manages adulterated catfish products. New US standards for import of catfish species demands the presence of inspectors on plants for one hour during an 8-hour shift. Dr Dodson explained that Guyana inspection pursues a “risk-based approach” which is a European Union (EU) standard. Guyana’s Veterinary Public Health Department has been mandated under the 2002 Fisheries Act and the Fish and Fishery Product Regulations of 2003 with guidance of the inspections manual to monitor, inspect and certify vessels, landing sites, fish processing establishments and fishery products for the local and export markets. The Veterinary Public Health official said Guyana’s Hazard Analysis and Critical Control Point (HACCP) and documentation of its inspection frequency will be upgraded to satisfy the new US standards. “Our (Fisheries) Act is broad covering all species of fish. 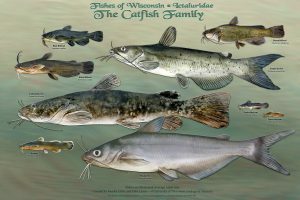 The US has specific regulations for the catfish species (and) there has been no changes to the local Act since 2003. There will have to be some adjustments to the Fisheries Act Inspection Manual and Regulations to bridge the gaps,” Dr Dodson said. He said changes to the country’s Fisheries Act and Regulations will be taken shortly to the Attorney’s General (AG) Chambers and published in the official Gazette. When this is accomplished, US officials will conduct an audit of the local fisheries department and other relevant agencies “to pave the way for the country’s likely re-entry into the American catfish export market. Guyana was among several countries were banned recently from the US catfish export. Others were Bangladesh, Canada, Dominican Republic, El Salvador, Mexico, Myanmar, Nigeria and Pakistan. Only China, Thailand and Vietnam met the new requirements demanded under the new standards outlined for the export of Catfish, Cuirass, Gilbacker and Hassar Dr Dodson revealed. He said the MPOH Veterinary Public Health Department is “working assiduously” with the Fisheries unit of the Agriculture Ministry to realign Guyana’s legal framework with new US fishery export demands. “Let us not panic because of the new changes (by the USFDA) it is just a temporary technical barrier to trade,” Dr Dodson said.